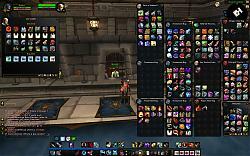 He Folks, as some might have noted this addon is not updated, this is because I don't play WoW anymore. PLEASE DELETE ANY OLDER VERSION This needs to be done because off an faulty images in the Last Version. You will find a Version 3.9x, this is about 99% done. There are still some bits that need to be polished and added. Nothing big but there are some things that need touchup. 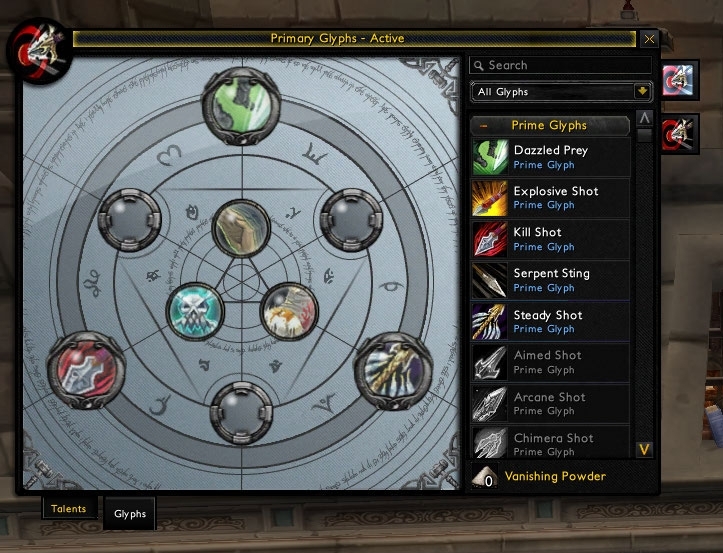 Caution This version is designed for WotLK 4.0.1 & Cataclysm, it will work on a older version but there will be some bugs (Glyphs). We now have a good team. and sould get some work done. People please do me / you a favour : If you want new skin support or find a bug, use the Report Bugs / Feature Req. sections. It makes it a lot easier to track, fix and update. 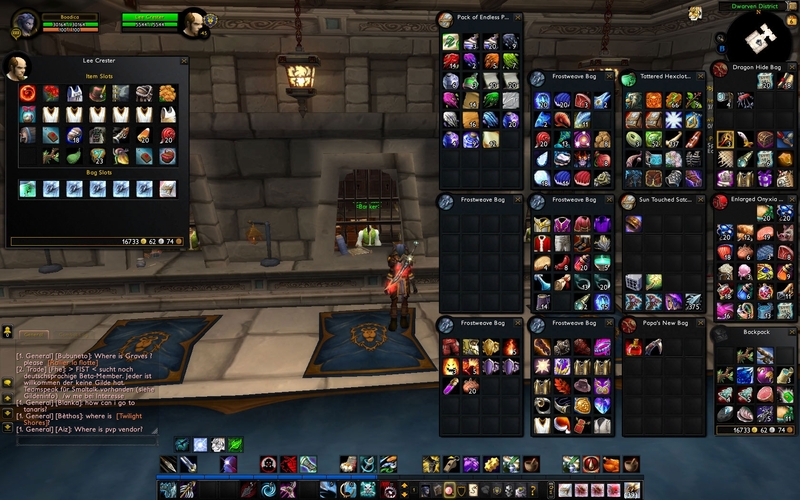 Plus this allows you to see what has already been requested as well as what items have been fixed. ~ Warcraft 4.2 Patch enabled as nothing seems broken. 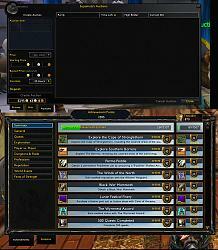 ~ Warcraft 4.1 Patch enabled as nothing seems broken. - Fixed small & Big errors. - Marked compatable with 4.0.1. - Added missing icons in panes. Small Note some windows are still missing the upgrade as some buttons are! As I would love to update this package, my software is horribly outdated. 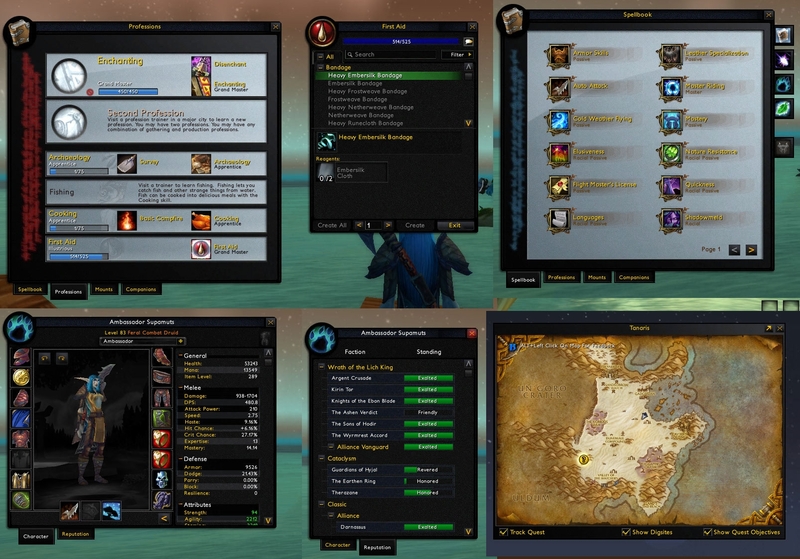 Much of what I did on this particular addon as an assistant, was tweaking images that Quokka artisticallly rendered. I was more of his front line tester. My Adobe suite is simply not powerful enough anymore to create the images I would love to render, otherwise I would continue this work. Perhaps when I win the lottery .... *shrugs* that being said, please consider this an outdated graphic addon. 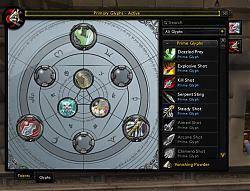 As of MoP this UI graphics replacement will be only partially functioning, which is a shame cause this is by far my favorite. 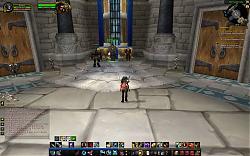 There have been a lot of changes to windows and things in MoP which leaves things looking really messed up. I do hope the original author picks this back up or someone takes over the task of updating. I am using Default raid frames.Is there any way i can change the alpha for when someone is out of range,or remove the skin on them completly?Cause atm it is too difficult to see if someone is in range or not. I know it's bee a while since you posted this but thought I would respond anyway. All this Addon(ish) does it replace WoW's Image files (which is how it does the ones before you login which addon's can't touch!). 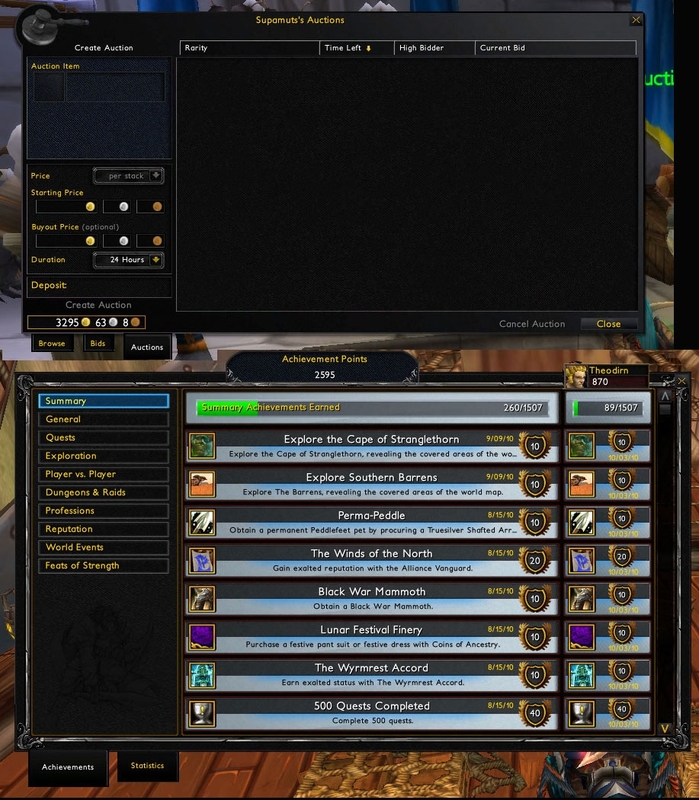 IF you want to change something you just need to look into the [WoW game folder]\Interface folder (where you put the files originally) and you will see LOADS folders (one of which is "Addons" which is where normal addons go. Those other folders are all of the replacement images. If you don't like an image you need to find it and ether edit it so it is darker or just delete/rename the file and reload WoW! 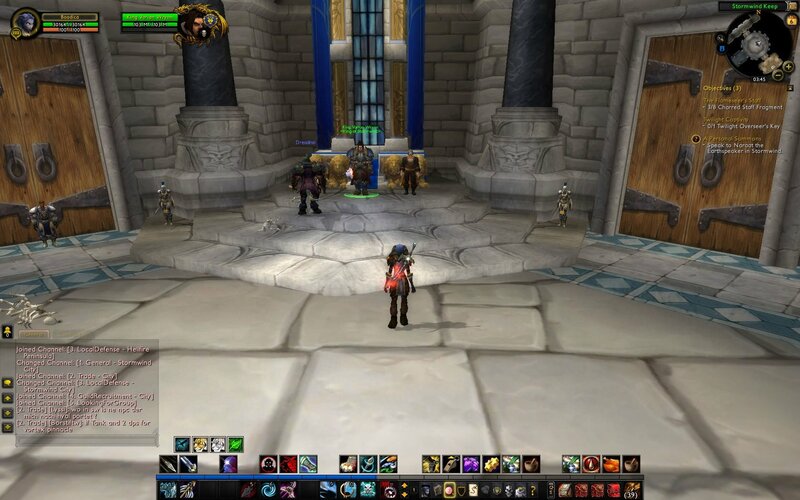 XnView will open any WoW images if you can't with any programs to open them. It's free too. Srr if this has been asked before but does this work with 4.3? I mean; I LOVE (and seriously this looks awesome) this look but if it gets outdated with 4.3 and no update i rather not download it. As it says in the GIANT RED LETTERS on the addon page, this addon is no longer being maintaned. It hasn't been updated since last December (almost a full year). It was outdated two patches ago. That said, with the way AI-Art works there's nothing to actually "break" in the normal addon sense (it will never throw Lua errors and the like). There will just be missing textures for any new windows/features added to the game (such as void storage and transmogrification, just like how there are currently no AI-Art textures for the Encounter Journal) and any current windows/panels that end up altered in the future will be messed up. I'm sorry but he was just asking cause the author responded on 10-16-2011, 06:17 AM that and i quote "I'll start updating this baby please let me know what is broken so I can fix it". He's just looking for some information. Don't be the smartass here mate, everyone has questions. EDIT: i found one problem, i got my mailbox a bit messed up. It's like half of the mailbox screen wants to do your interface but the other half not. Last edited by loveVShate : 11-26-11 at 04:30 AM. Last edited by Louna : 11-04-11 at 07:32 AM. 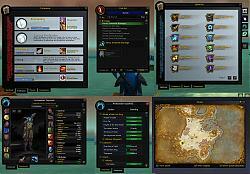 Something broken for me: The info tab on the guild panel always displays as blank with no buttons, text, or anything. Sometimes reloading a lot will get it working, but I have to reload at least 10 times for this to happen. well only thing I can think of is the yellow gem in cata doesn't look yellow after adding this, looks kinda pale redish. IT`S PEANUT BUTTER JELLY TIME!!! Last edited by Zinnah : 10-16-11 at 01:07 PM.